A modem is a device that enables a computer to transmit data over, for example, telephone or cable lines. 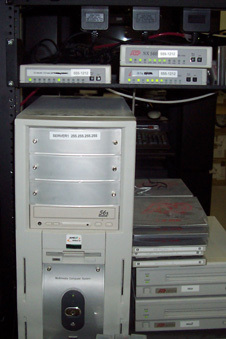 Computer information is stored digitally, whereas information transmitted over telephone lines is transmitted in the form of analog waves. 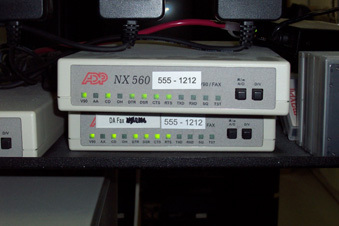 A modem converts between these two forms. Go over to your DMS system and look for a couple of rectangular boxes sitting nearby. In the picture below, you can see them in the upper right-hand corner. These boxes will probably have a series of lights on the front, and labels that include CD and CR. Depending on your DMS provider and the manufacturer of the modems, their appearance may vary. Two examples are shown below. To reset your modem, flip the power button on the back to the off position for 30-60 seconds, then turn it back on. Sometimes the off switches are located on the sides, as shown below. 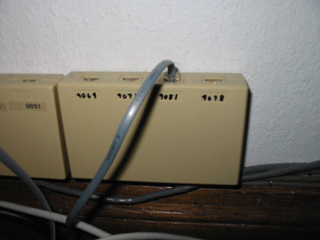 If you are trying to determine the phone number associated with the modem, often it is printed somewhere on the modem. Sometimes the phone company will list the modem on the wall outlet - in that case, you can trace the phone line from the modem back to the wall and then read it. Most modems rely on phone lines for connection, however shown beow is a CDK Global ® PortServer TS 1 Modem. 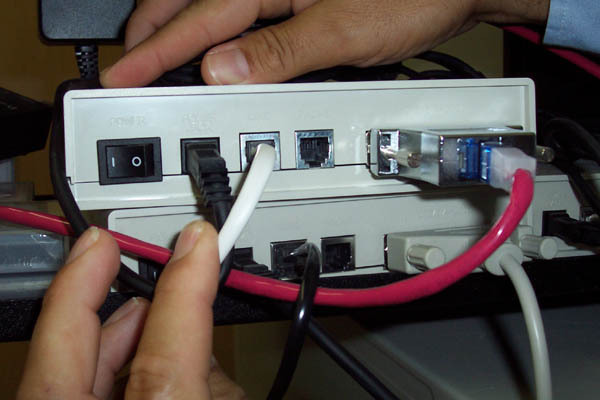 This is a different type of modem, which connects using a round ethernet cable instead of a flat telephone line. 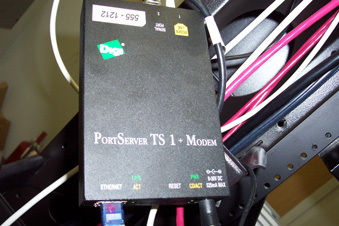 If you have this type of modem, we will most likely use a Telnet connection to access your system.